Kailua-Kona. 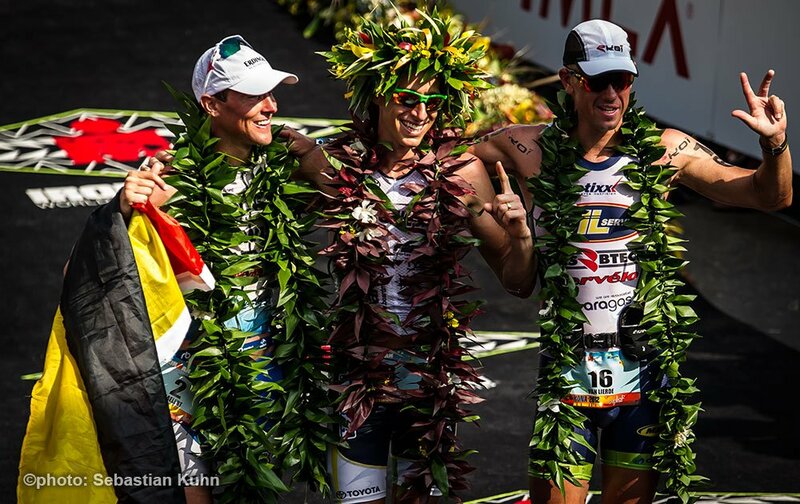 Andreas Raelert won the silver medal at the Ironman World Championship in Kailua-Kona. After 8:23:40 hours, the 36-year old from Rostock crossed the finish line on the Alii Drive in Kailua-Kona behind the Australian Pete Jacobs. "I have not lost the victory today, but I won the second place", Andreas Raelert said after the race of 3.86 km swim, 180.2 km bike and 42.195 km run, in which his brother Michael became 31st. "I had not the best start into the race, because after the swim I was four minutes behind", Andreas Raelert mentioned after the race, "I had to catch up this time in the marathon." Shortly after the start of the race American Andy Potts pushed the pace in the swim together with Marko Albert from Estonia. 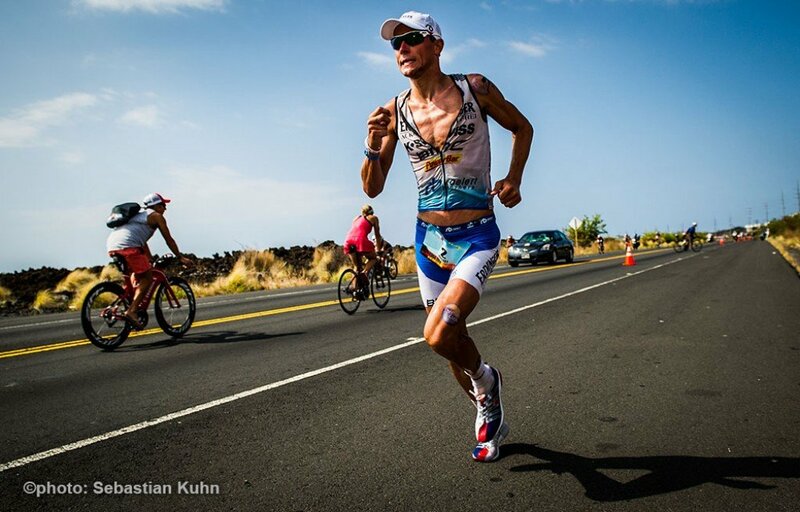 While Michael Raelert could swim in the group with most of the favorites behind Potts and Albert, Andreas Raelert was not able to show his usual swim performance in the bay of Kailua. "I don’t know why, but I was not able to hit a high speed, as I had planned for in my mind", the co-favorite said. While Michael Raelert came out of the water after 51:37 minutes in the middle of a the top class chase group behind the fastest swimmer Andy Potts (50:32 minutes), Andreas Raelert finished his swim only after 55:17 minutes. He was in 32nd position – and far behind the leaders. "At the end, I was surprised that I could still finish the race in second", Andreas Raelert said, referring to the huge gap after the first discipline. With a strong performance on the bike Andreas Raelert could fight himself back into the race, but first the defending champion Craig Alexander (Australia) and soon Sebastian Kienle and Marino Vanhoenacker (Belgium) forced the pace of the field. Especially Marino Vanhoenacker chose an offensive tactics, he reached T2 with a huge lead. Andreas Raelert rode the 180.2 kilometers through the lava fields under extreme wind conditions in 4:36:34 hours, but he started his run from 14:17 minutes behind Marino Vanhoenacker, Andreas Arelert was in 11th position, but at the half marathon mark he was already in sixth place. In the difficult stretch of the Natural Energy Lab – where Marino Vanhoenacker had to give up the race while he was in the lead – Andreas Raelert made up a lot of time. Pete Jacobs took over the lead after Marino Vanhoenacker had to drop out, and behind the Australian it was Andreas Raelert, who passed the Germans Sebastian Kienle and Faris Al-Sultan and Frederik van Lierde from Belgium. Andreas Raelert ran into 2nd position. "When I came out of the Energy Lab and I heard that I’m about five minutes back, I thought that it can still work, because I felt very good", Andreas Raelert said – and he further shortened the gap. “But I hit the wall at 35 km”, he had to admit later. Pete Jacobs won in 8:18:37 hours, Andreas Raelert ran the second best marathon time of the entire field (2:47:24 hours) and succeeded in the final fight for second place over Frederik van Lierde, which emerged once again strong on the last kilometer. "Second place is a great achievement", Andreas Raelert said at the press conference, "for this Ironman Hawaii, I’ve worked all year." 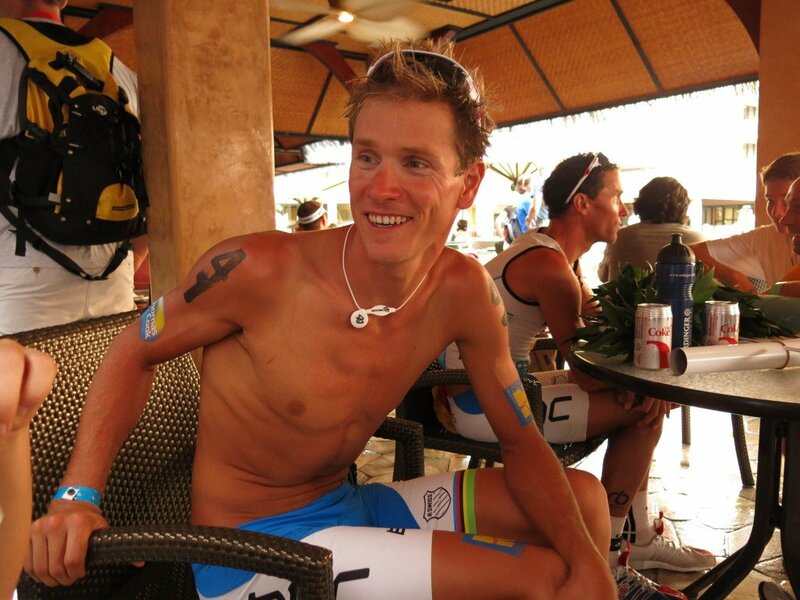 Michael Raelert was not satisfied with his debut in Kailua-Kona. "I have had very high expectations for this race and now I’m just disappointed", he said. The 32-year old was swimming with the favorites, but on the bike he lost the contact to the leading group in the climb to the turnaround in Hawi. After that he was dropped back significantly. "My batteries were empty", the two-time World Champion in Ironman 70.3 said. He came off the bike after 5:14:41 hours. Michael Raelert ran the marathon in 3:11:20 hours and finished after 9:22:20 hours on the Alii Drive. 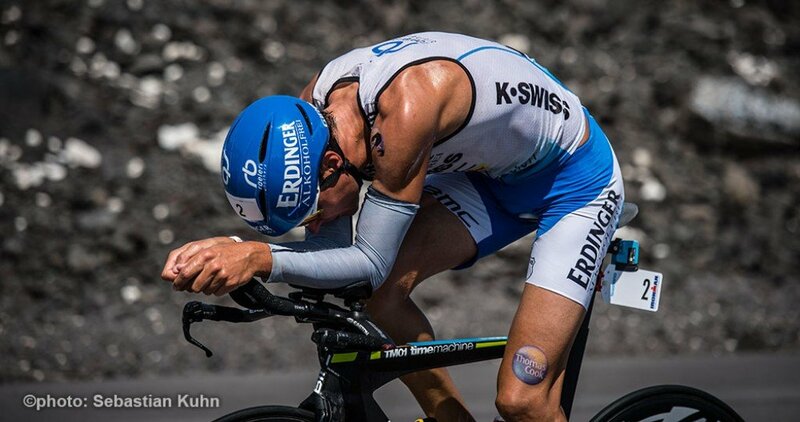 "I'm disappointed, but at least I wanted to finish my first Ironman Hawaii."